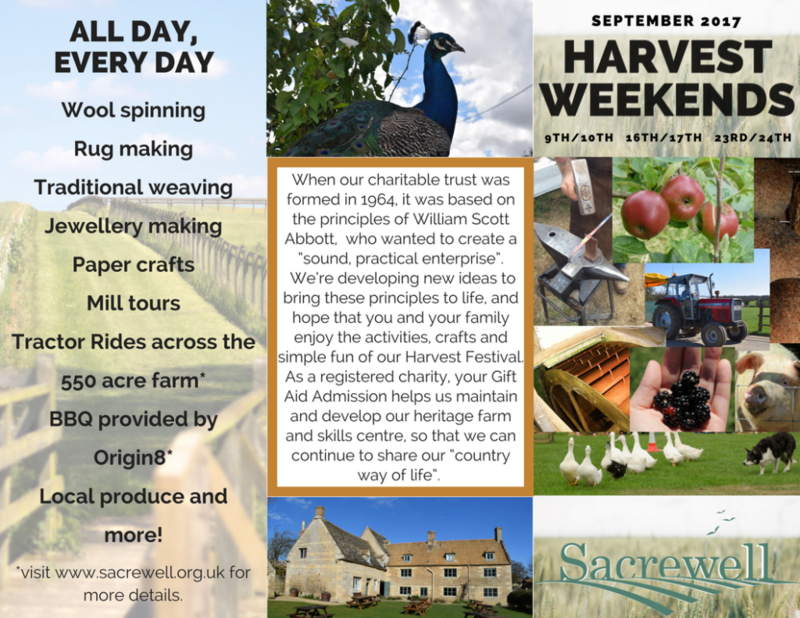 Every weekend from 9th till 24th September, 10am - 4pm. 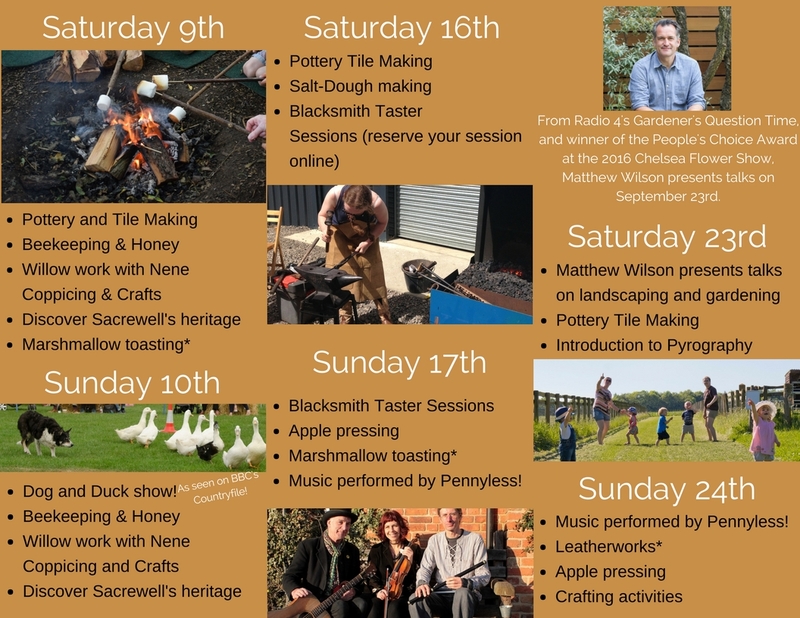 You can also try your hand at pyrography (burning designs onto wood), make a leather keyring or have a go at making a clay horseshoe in our Black-clay-smithing activity. If you’d like to try real blacksmithing, why not book a place on our Blacksmith Taster Sessions with the experts from Chain Bridge Forge on the 16th and 17th? Here is the programme for the weekends.